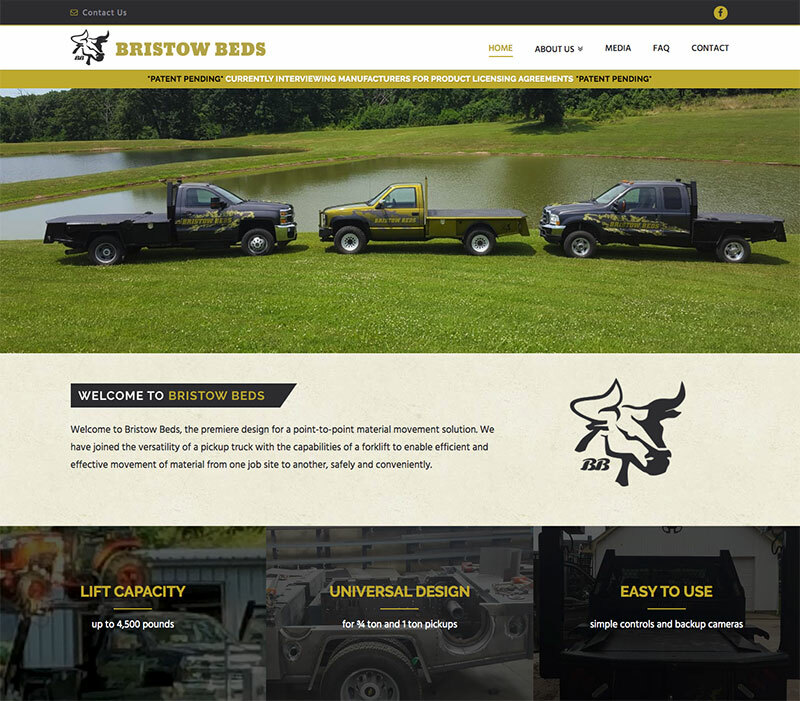 An inventor and entrepreneur created a unique, patent-pending truck bed lift system called the “Bristow Bed” with potential applications across multiple industries. After initiating the patent process, he began a search for a company to help him produce and market this product. The client had a logo, photography, video content and several pages of notes, testimonials, product descriptions, history of the project, and more. He needed that information transformed into a website that would help him explain his product and find a partner to help him bring the product to market. The CMG team members combined their strengths in design, development, web writing, and digital strategy to transform the client’s wealth of disorganized content into a functional, visually impressive website. The website is fully responsive, explains the product well, and includes strategic calls-to-action to make it easy for a potential investor to reach out. With so much content available and a solid start on a brand identity, CMG was able to fast track this website and launch it within a four-week timeline. As added value, the CMG team helped the client create a Facebook page where he quickly grew an engaged audience by sharing pages and videos from his new website.